Alan enters the Twilight Zone - but can his story work in a smaller, downloadable format? If you’d have asked me what I wanted from Alan Wake, more combat would’ve probably been close to the bottom of the list. 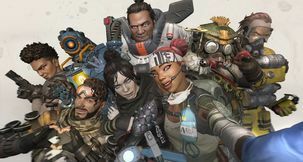 The first game excelled in telling a cool story populated with likable characters in an interesting way, but its low point was undoubtedly the repetitive combat. The basis of Alan Wake’s combat – shining light from various sources on enemies to weaken them before you can pump regular bullets into them – is a solid idea, but one that ultimately lacked diversity necessary to make it stick across a long single-player campaign. 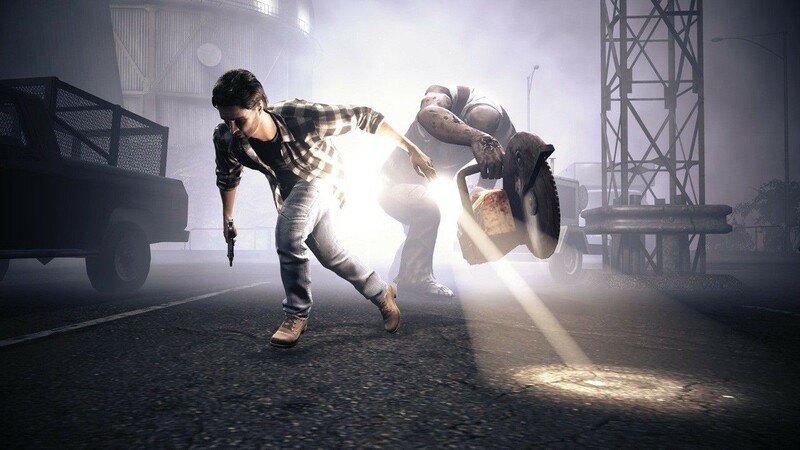 Rather than rethink the combat in a big way for this arcade-style sequel, Remedy has tweaked it in small but significant ways to wrap it into a lighter, score-attack based structure. 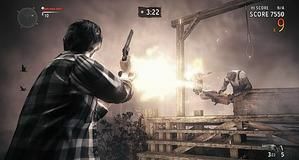 It’s through these ten-minute combat blasts that Alan Wake’s American Nightmare was given birth as an Xbox Live Arcade title, with Remedy’s core addition over the original title a more action-based set of combat scenarios. It’s a hoard mode-styled survival session without allies, designed with single player in mind. 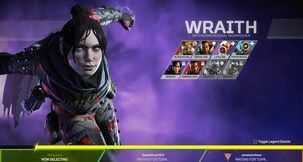 While enemies come in waves there’s no ‘final wave’ – the match continues until dawn – meaning until ten minutes are up – and your score at the end gets logged and pumped up to leaderboards to give the game a slightly more competitive edge. 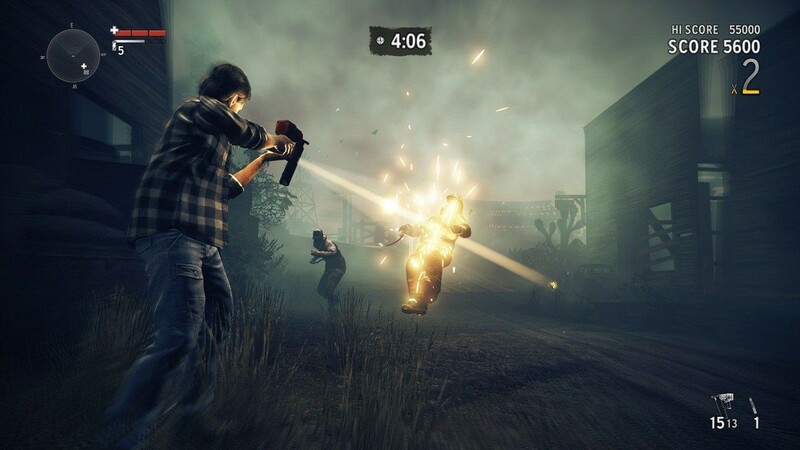 The arcade survival mode is fun for a while, but the key problem with the original Alan Wake begins to rear its head again – which is simply that each time you see that dramatic slow-motion dodge of an enemy’s axe or other blunted weapon is less exciting than the last, and the light-based mechanics quickly become less about interesting combat solutions and more about watching that little circle on screen until it disappears – you’ve swapped iron sights and a reticule for a flashlight. Tweaks and changes to the combat do make it more fun, though. There are new weapons, including sub-machine guns and a more varied variety of pistols – the former of which are particularly satisfying to use. New enemies pepper the experience, too, including new breeds of gigantic shadow-dude you need to take down and an enemy that splits into multiple, weaker versions of itself as combat proceeds. All that still isn’t enough to stop the combat alone from becoming tiresome, and after some time I found myself just thinking about other, tighter third person action games. It’s good, it’s just not great – especially after hours. Bluntly, fighting isn’t what bought me to Alan Wake. Thank the lord, then, for American Nightmare’s single player campaign. Whilst the survival mode was the starting point from which Remedy birthed the rest of the game the team has also seen fit to create what I’d describe as a pretty meaty story expansion to help the game be fully worthy of the 1200 Microsoft Points pricing. Once again Wake is trapped within a story he’s written, this time taking place in the fictional town of Night Springs – described in-game as ‘somewhere in Arizona.’ Night Springs was touched on in the original game as a gleefully campy take on The Twilight Zone and the TV series where Wake, a writer, made his name – and so with that excuse the game can immediately take on a lighter tone. While Alan Wake was full of deep, dark foreboding as Wake discovered manuscript pages predicting a pretty grim future for himself in the ‘real’ world, American Nightmare has a TV show narrator complete with creepy voice accompanying you throughout. It’s fun, and the cheese here is actually welcome. The story’s core is around the battle between Wake and Mr. Scratch, an alternative, evil, murderous version of himself. He’s fleshed out brilliantly in live-action FMV sequences that can be watched on TV throughout the game. The FMV cheese only makes the feeling of this being ripped from a so-bad-it’s-good 80s or 90s thriller even more intense. While new weapons and enemies carry over into the campaign, much is the same – manuscripts are scattered around to pepper in additional story details, narrated by Wake and boasting improved presentation, and finding them can foreshadow major story events. It works as well as it did in Alan Wake, and makes for compelling storytelling. 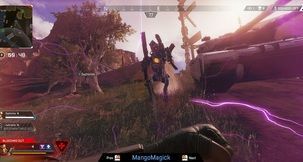 Weapons are more plentiful, and combat encounters in general are more action-packed than the original game – a nod, perhaps, to how this game was first built around an action-only arcade mode. Having tons of ammo makes things easier, but the sense of dread at entering a combat scenario with a scant few bullets, a single flare and one flashlight battery is now gone. That maybe fits this campy expansion better, though. The story reuses locations in a way that isn’t totally insulting, but the semi open-world nature of Alan Wake is gone – it’s a linear third-person game now. 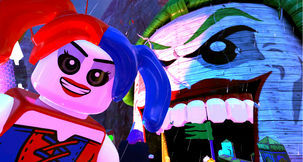 The first game only had those elements because it was once open world, though – it makes sense. Elements of the Wake story from the unresolved ending of the first game are touched on throughout the story. You’ll leave this more knowledgeable, but not doubting that there will be more Alan Wake to come. 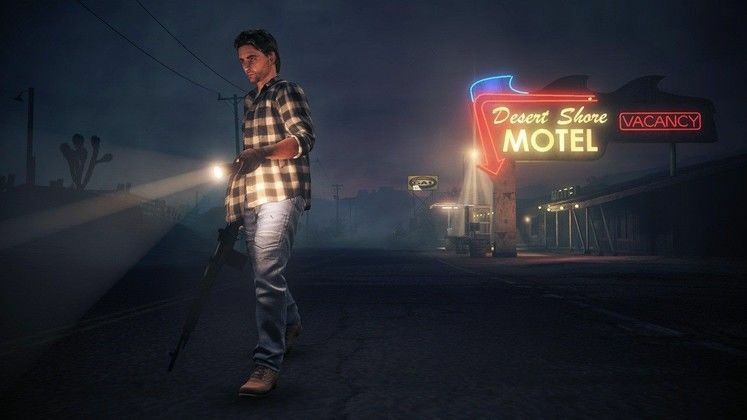 That’s not such a bad thing, though – American Nightmare is a cheaper, more bite-sized experience than Alan Wake was, but provides a decent few hours of story and a so-so arcade mode for a much smaller price. If you enjoyed the original Alan Wake or are just looking for some fun third-person XBLA action this is definitely worth your time. First hearing the story’s TV rip-off narrator – it’s perfectly done.